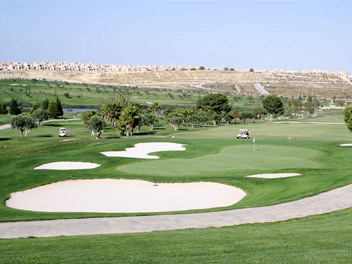 It to be the pick of the golf courses in the Alicante area. 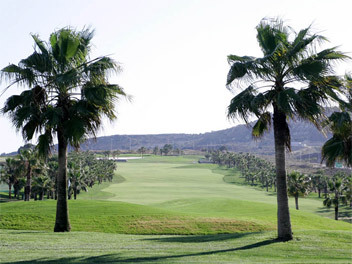 Relatively young in years(2002) but already developed enough to test the best golfers while still being eminently playable for the beginner.The course is long and there is plenty of water, so a good supply of golf balls and probably a buggy is recommended.Lakes and natural running water abound as do the wildlife and add to this the backdrop of the Mount escotera and you have a must play golf course for the golf minded traveller. 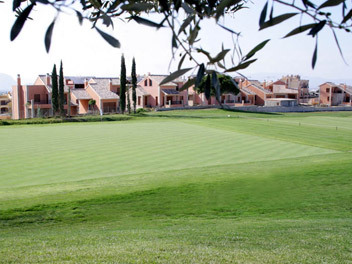 The nearly 6500 yard course has been designed for tournaments. The natural setting not only provides majestic views of lakes, trees and mountains but it also challenges and makes the game more exciting, including have to hit a ball on an island green on the fifth. "Bra bana med vid ruff. Tack vare banans utformning tappade jag få bollar."